In 1947, SANYO Electric Works was founded in Moriguchi City, Osaka, Japan. The word sanyo means “three oceans,” which reveals the early goal of the company to become a global entity. The company’s first product was a bicycle generator lamp, which addressed the need for headlights on bicycles for safe nighttime riding. In 1952, the company produced the industry’s first plastic radio. In 1953, the company’s first black-and-white television set was produced, which was followed in 1960 by its first color television set. Nearly seventy years later, Panasonic bought the company in 2011, and SANYO still operates as a wholly-owned subsidiary with contributions in four major business segments, including: electronics, energy, ecology and international. Searching for a specific Sanyo TV review? For 65 years, SANYO has been an innovative inventor of some of the most useful products in households throughout the decades of the industrial age. As the information age began, this corporation made important changes to product lines and offerings that have allowed the company to be profitable and agile in an ever-changing economic climate. Televisions have been one product line but not the primary one. Electronics is the major business segment under which the televisions are produced, but SANYO has many interests. Most recently, the company has embraced clean energy objectives and directs much of its research and development efforts into improving the efficiency of solar and electric batteries. These efforts have made SANYO the largest supplier of rechargeable batteries in the world. SANYO HDTV sets keep pace with their counterparts of other brands. Picture quality and sound quality are the marks of a television set, and SANYO does well to make affordable TV sets by finding less-expensive parts from all over the globe. Some writers of SANYO TV reviews wonder if some of the quality issues encountered are caused by the fact the company does not make its own components and parts. Other buyers know that one of the best ways to produce affordable products is to find less expensive sources for the parts. Consumers have different opinions about the various models of SANYO television sets. The size of the set plays a significant role in the picture quality and sound depth. Many SANYO TV reviews state that large televisions provide a good picture for the price of the set. Small models provide excellent picture quality for the price. Large models have excellent sound quality because the speakers are larger. Small models tend to produce poorer sound than other brands of the same size. The entire SANYO television product line offers affordable options in a wide-range of sizes and features. Remote controls are mentioned by customers for their simplicity and usefulness. Every detail of product design has been considered. Customer use varies from private home use to hotel rooms in many different locations around the globe. Customers have shared their stories of long-term ownership of SANYO televisions. When the time came to purchase a new set, the SANYO brand was preferred. The collection of SANYO reviews seems to be split evenly between very positive views of product quality and very negative opinions. When product issues arise, consumers are more likely to write a review for the benefit of others and to have their voice heard. Sanyo TV reviews state that the consumer appreciated the affordable prices that are offered for the features on each television set. Remote controls are said to be simple to use and not overly cluttered with extraneous features. As a television company, SANYO occupies one of the lower tiers where anyone can afford one of the models. This brand of television set is known as a reliable brand that offers adequate sound and acceptable picture quality. 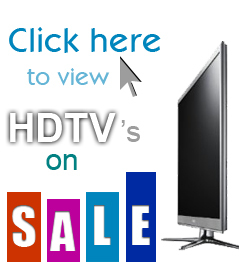 Sanyo HDTVs are affordable for those who cannot spend thousands of dollars for one of the expensive models. Televisions are available in the very large 50+ inch models all the way down to the 19-inch models that are perfect for dorm rooms and kitchen counters. Most customers will bring home a television set, unpack it and plug it in. The set will work perfectly for many years, and customer service will never be necessary. If an issue arises, the most prudent action is to look at the owner’s manual for the specific ways to contact the customer service department. Information on the company website will be current and should be reviewed prior to attempting to call 1-800 numbers printed in a manual. Patience is required to maneuver a phone tree that will put the customer in contact with a real person. Details about the situation must be provided, including the retailer and date of purchase. Whenever issues arise with SANYO HDTV television sets, the customer is encouraged to return to the retail establishment where the set was purchased. When this issue is addressed in the first 30 days after the purchase, the retailer will exchange the set for an equivalent or comparable model. While the set is still under warranty, the customer has the option to contact customer service, which is located in Forrest City, Arkansas. Some customers will be directed to contact a regional service center. The most common complaint against major television manufacturers is that there is not a local solution for television problems. If the local retailer does not exchange the television, the customer is left with a non-working unit that must be shipped somewhere to be repaired. This process can be difficult and cumbersome since televisions are large and heavy. Manufacturers do expect the customer to pay for the shipping to the repair facility. Some new owners will bypass corporate customer support and find a reliable local repairman to resolve the issue with the set. If the repair is considered too costly, another television set will be purchased instead of repairing the failed set. Television recycling options are listed on the SANYO website. Customers were at one end of the ratings spectrum or the other when reviewing their SANYO television sets. If a performance problem surfaced with the television set, the consumer rating was set at 1-star. When the television performed perfectly from the box, the rating was set at 5-stars. Quality of this brand of television set is average in comparison with the higher-end brands that have many more features. As one of the oldest brands on the market, these televisions fill a market need for those who need a basic television at an affordable price. The picture and sound quality in SANYO TV sets surprise some consumers because of the affordable price of the television sets sold under the SANYO brand. Higher-priced brands might offer more features and better picture and sound quality, but consumers of less-expensive televisions will find acceptable quality for the money. I found a 32” Sanyo that looks like a great set for my den. A couple days back when I started talking about buying two new HD TVs, one of my coworkers at DISH suggested I look into Sanyos. But they’re not a brand I’m all that familiar with, so I’ve been doing some research. I’m excited to be upgrading because along with the new TVs, I’m finally getting a Hopper whole-home DVR. It’ll send all my high definition channels to every room, which is why I’m looking to replace the last two SD sets we have. And ever since we upgraded half the rooms to HD, the family always seems to be arguing over who gets to watch what because everyone got spoiled and no one wants to watch their shows in standard-definition anymore. Once I’ve replaced these old TVs for new HD models and get the Hopper in my house, I won’t have to listen to all that fighting anymore!